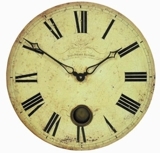 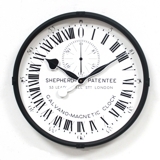 The faded blue colour of this dial is what gives this clock its wide appeal. Looking like it was made from a piece of painted wood with chalky white numbers and a barely discernible French name of a cheesmaker from Montpellier. 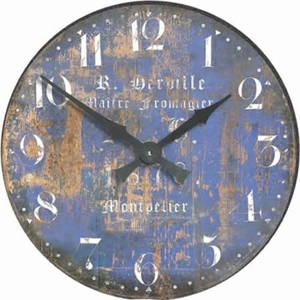 An impressively large gallery style clock full of character.